School holidays tomorrow collect at 12:00 have an enjoyable and safe holiday everyone. Food always tastes better outside!! 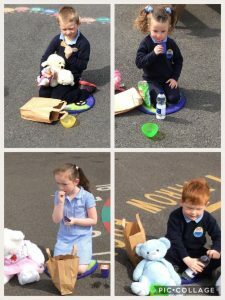 Miss McMorris’s class enjoyed a Teddy Bear Picnic outside in our school grounds. 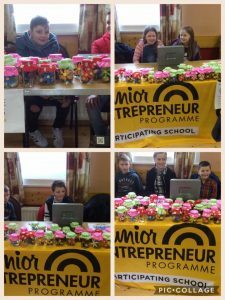 They all enjoyed the lovely treat bags given by Joseph from Spar in Garrison . We all say thank you! 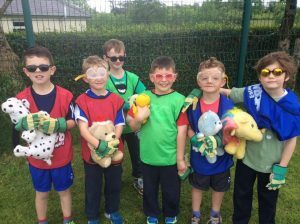 Don’t forget to go to various sports activities during the holidays good to get involved. 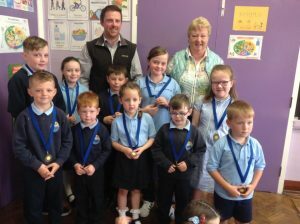 All pupils received sports medals thanks Joseph you had a busy morning. Congratulations to Aaron and Scott who share the Junior Sports Shield . Well done. Congratulations to Ellie for winning the Senior Sports Shield. 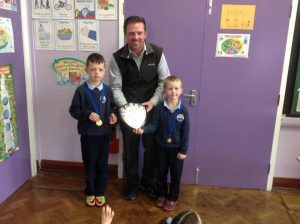 We were delighted to have Joseph from Spar Garrison to present our Sports ‘Awards.Thank you. 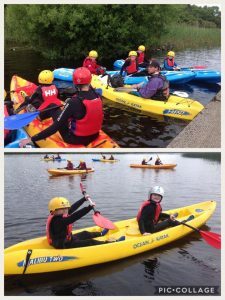 Thanks to Donegal Outdoor Education Centre Bundoran. A great way to end the school year!! We were delighted to welcome Mr Selwyn Johnston our High Sheriff to our Leavers ‘ Assembly. 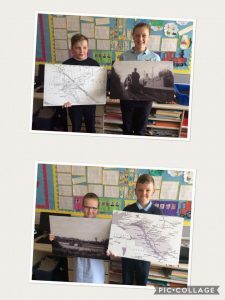 KS2 pupils got some lovely Railway maps of Belleek and Co Fermanagh and old photos of trains at Belleek Station. We really appreciate your generosity. 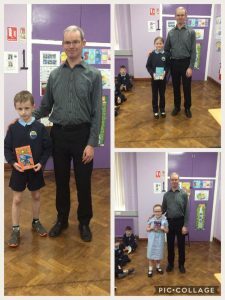 Our very special thanks to Mr Selwyn Johnston of Headhunter Railway Museum Enniskillen who was our guest and presented our prizes and certificates to all pupils this morning. 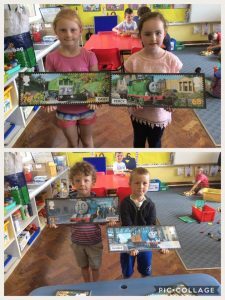 He gave us some lovely Railway Memorabilia for KS 1- famous Thomas the Tank pictures!!! Congratulations to our prize winners at today’s Leavers’ Assembly we had a lovely celebration. 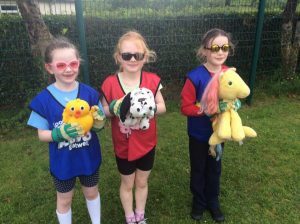 Congratulations to all medal winners at our recent sports day. A very big thank you to Gilroy Family Spar Garrison for their sponsorship. Very much appreciated by us all. 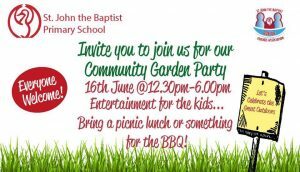 We are going to St John the Baptist Primary School don’t forget your picnic packed lunch. 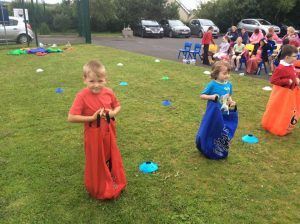 We enjoyed the sack race!! Our hard working score keepers !!! Sports Day last race !! 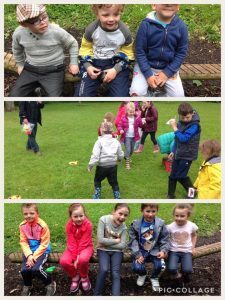 All enjoyed our fun race! 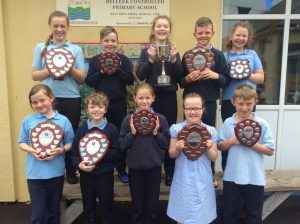 Congratulations to all pupils in Mr Beattie’s room . A project this year we all enjoyed. 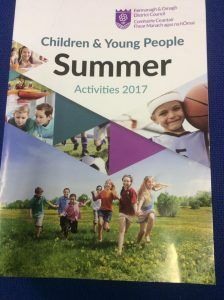 This is available at Enniskillen Library. 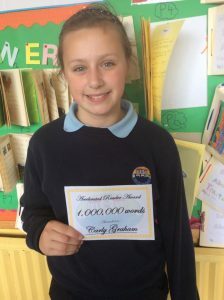 Congratulations really well done to reach 1,000,000 words on our accelerated reading programme. 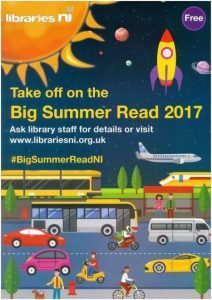 Reading is so important and remember going to local library van or our libraries in Enniskillen or Bundoran is a free service. 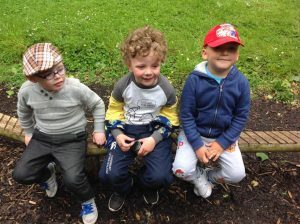 All busy looking at nature., followed by fun on swings. Plenty of fun and we got a dry day !! 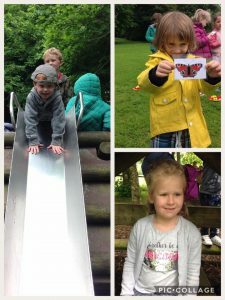 Miss McMorris’s class enjoyed their Nature Safari Trail over at Florencecourt National Trust Property. Pupils always remember practical work outside on a lovely sunny day. 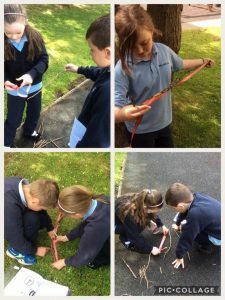 KS2 busy measuring outside as part of our outdoor learning day. 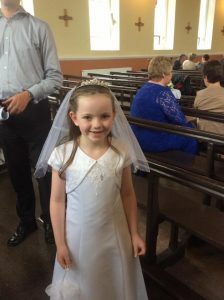 Congratulations and best wishes to Ellie on making her First Holy Communion this morning. 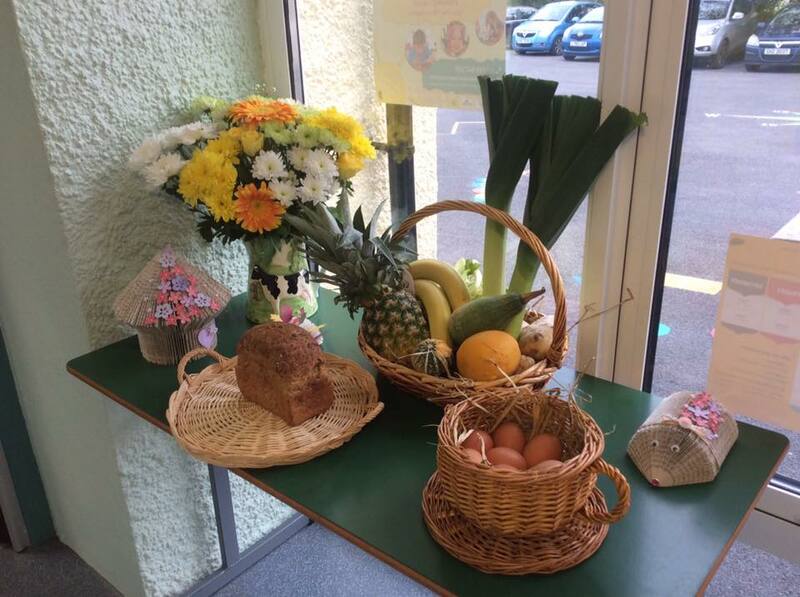 It was a lovely Service and our special thanks to Miss OShea for her welcome and delicious hospitality. 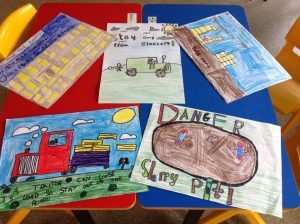 Some of our art work submitted to the Farm Safety competition. 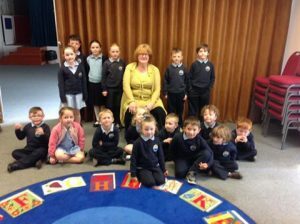 Last week MissMcMorris’s class went to Enniskillen Library to listen to wonderful stories told by Liz Weir . Thank you for inviting us we really enjoyed it. A big thank you to all who supported school. Hope you enjoyed the afternoon tea!!! 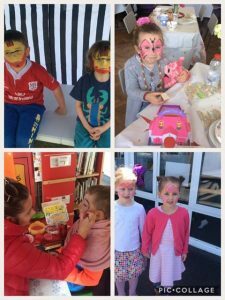 All looking good after face painting . 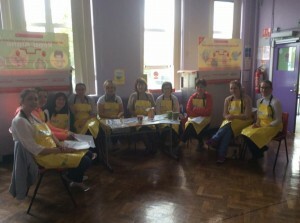 Thanks to our parent helpers. 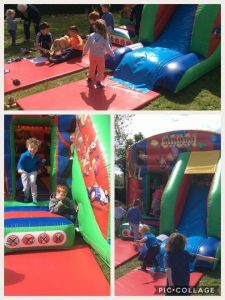 The bouncy castle was a big favourite at our recent school fete. We were so lucky with weather. Our school logo made by KS2 as part of our topic about Belleek Pottery 160 years. 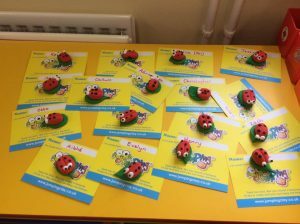 Lovely ladybirds made with help of Tanya from Jumping Clay by pupils in Miss McMorris’s room. Enjoying PE this morning inside because of wet morning. 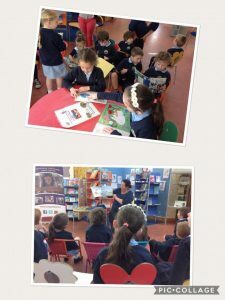 We had a lovely visit today to Bundoran Library . A big thank you to the librarian who read interesting books to us . 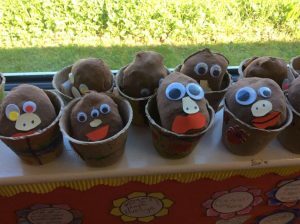 Will these seeds grow in cotton wool? 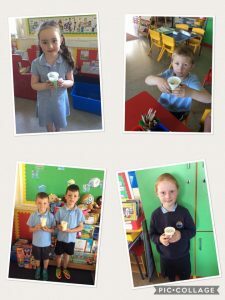 We are planting other seeds today cress seeds – no soil . 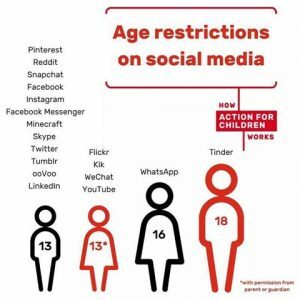 Will they grow? Wait and see. One week later grass hair beginning to grow!! 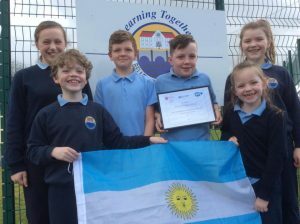 Congratulations to these pupils from Mr Beattie’s class. 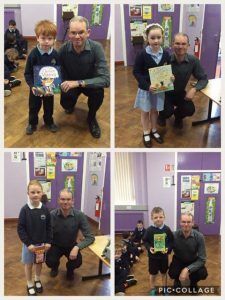 Congratulations to these pupils for winning the non fiction book prizes for this year. 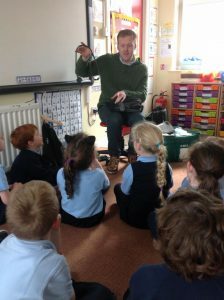 Please keep reading and Miss McMorris ‘s class is going to visit Bundoran Library this Thursday morning. 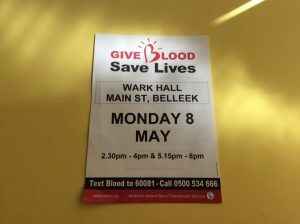 Don’t forget this opportunity to give blood and help save someone else. We say a very warm welcome to our new pupils who have joined us this term. 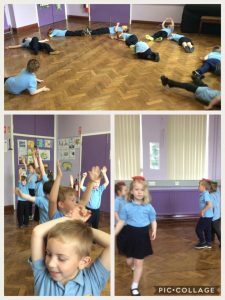 Today they were all involved in a variety of indoor play activities. 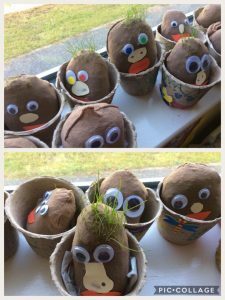 All pupils in Miss McMorris’s class made these interesting grass monsters. We will be waiting and watching their grass hair grow ! 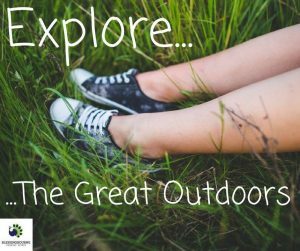 A lovely weather forecast this weekend to get out of doors and enjoy our wonderful landscape we live in . 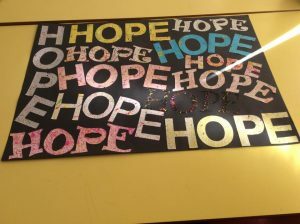 A poster made by pupils in Mr Beattie’s class to support the Darkness into Light walk on 6th May . Good luck to all walkers and helpers. 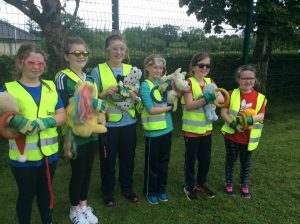 As a school community we are all very sad at the passing of Mr David Johnston from Daly Park Belleek. He is the loving Husband of Alice and father of Marilyn (Doogan) our classroom assistant. 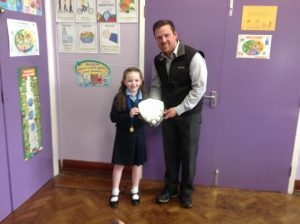 Davy has had a long association with our school and was always there to help us. His funeral removal is this evening at 8:00 pm to Belleek Parish Church and Saturday a service at 2:00 pm. 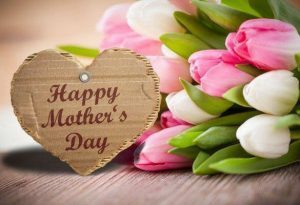 We are thinking of Alice, Marilyn, Priscilla, Garnett and their families at this time. 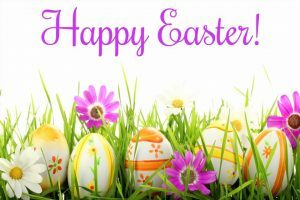 A very Happy Easter break to everyone see you back at school on Tuesday 25th April . 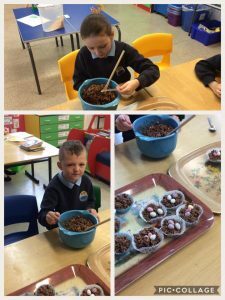 We have some keen cooks in Miss McMorris’s room. These tasted great. 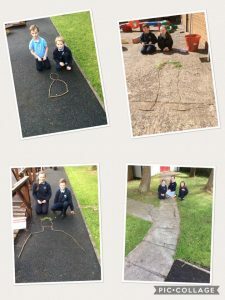 Plenty of keen gardeners at school. No excuse parents you have help for the next week or so. Gardening Club is on Wednesday after school. We are looking for some bee loving plants and heathers so please bring them in on Wednesday 26th April. Thank you. Guess who arrived in Miss McMorris class today? The special Easter hen and chicks. 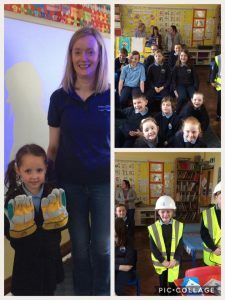 Thank you to Christine from NI water service who visited school this morning and told us all about our water supply. 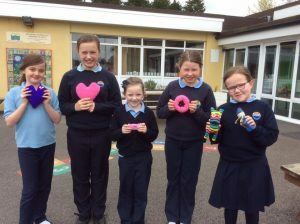 Our Centra colouring competition winners. Thank you for very well received Easter Eggs. 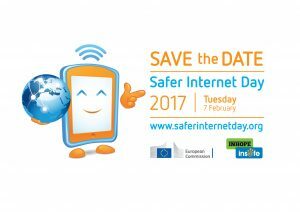 Please note the date more details later. 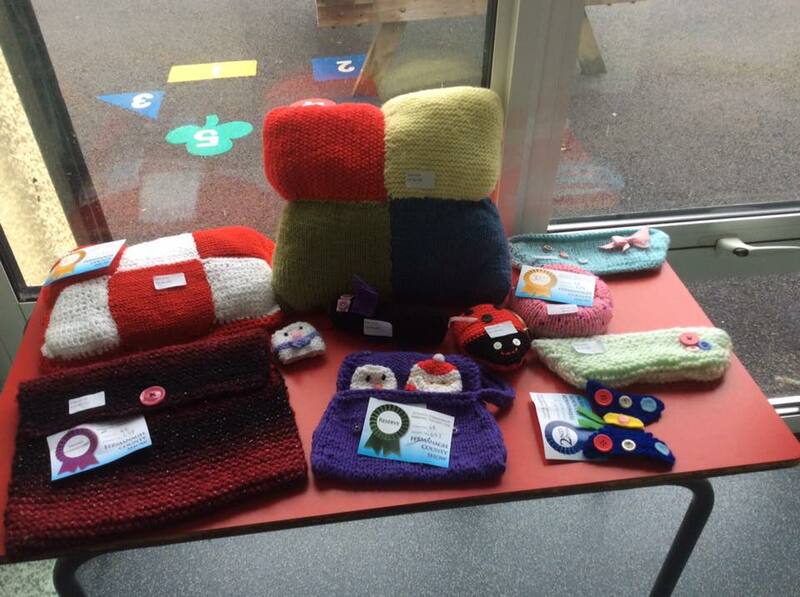 Some more lovely pieces of knitting well done girls. School would appreciate any odd balls of wool thanks. 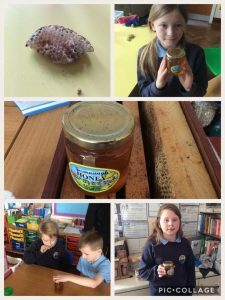 We found out all about Fermanagh Honey and we all had a chance to taste it. 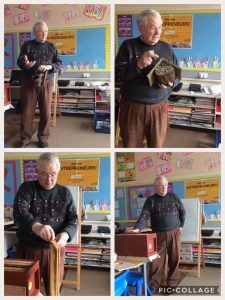 A very big thank you to Mr Brian Richardson who came into Mr Beattie’s class to tell us about bees. 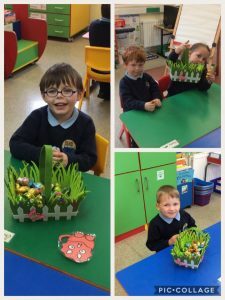 Pupils in Miss McMorris’s class doing the Centra Easter colouring competition. Thanks to Centra the best ones win Easter Eggs!!! 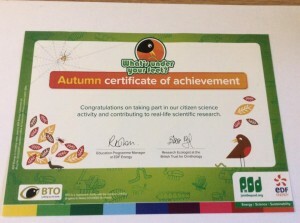 Our certificate has arrived thanks to all who did the Bird Count and to Mr Beattie for sending it in on computer. 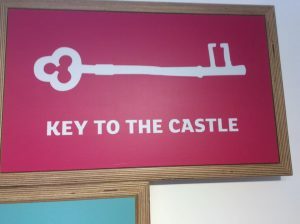 Lovely to see boys and girls thank Sinead at Enniskillen Castle Museum for our very memorable event. 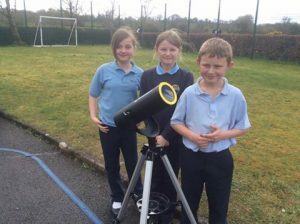 Pupils looking at our new telescope which we have just received as our prize for winning at W5 earlier this month. 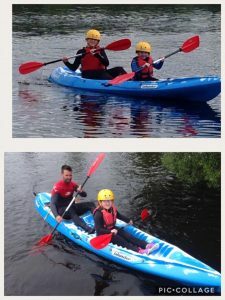 Well done KS2 and Mr Beattie. 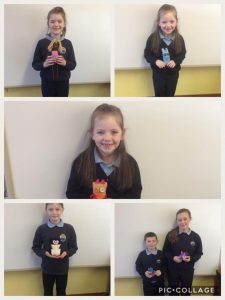 Congratulations to these pupils who made lovely knitted toys in our after school club well done!!!! Our special thanks to Ms Noble for her help . If anyone has spare wool, embroidery threads or good odd socks please send them into school. Thank you . 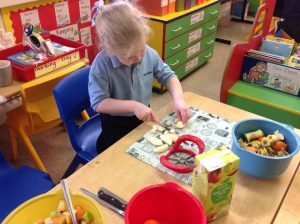 A very busy pupil preparing some fruit for a fresh fruit salad! 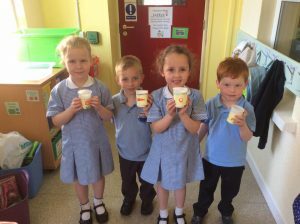 Pupils help to make fresh fruit smoothies in class . 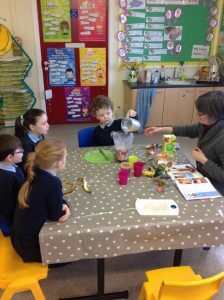 This is part of our healthy eating programme. A very special thanks to one of our parents who works as a paramedic. He came into school to talk to pupils today in Miss McMorris’s class about his very important work helping others in the community . Haydn presented the school with this beautiful framed picture of a lovely red squirrel. Thank you very much indeed. 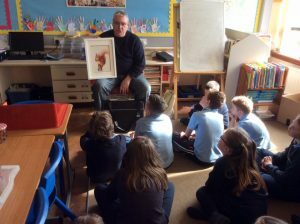 We had a very informative and interesting talk by Haydn to all the boys and girls about native wildlife and birds and his work as an artist. 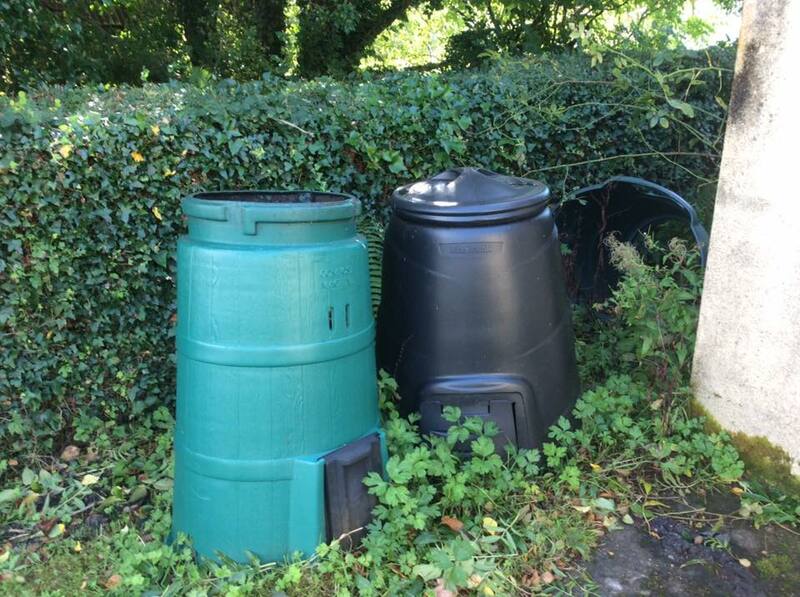 This was part of our Eco Schools programme. 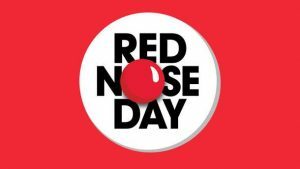 We welcome the suggestion from one of our younger pupils and his mother who wants to raise money for comic relief. 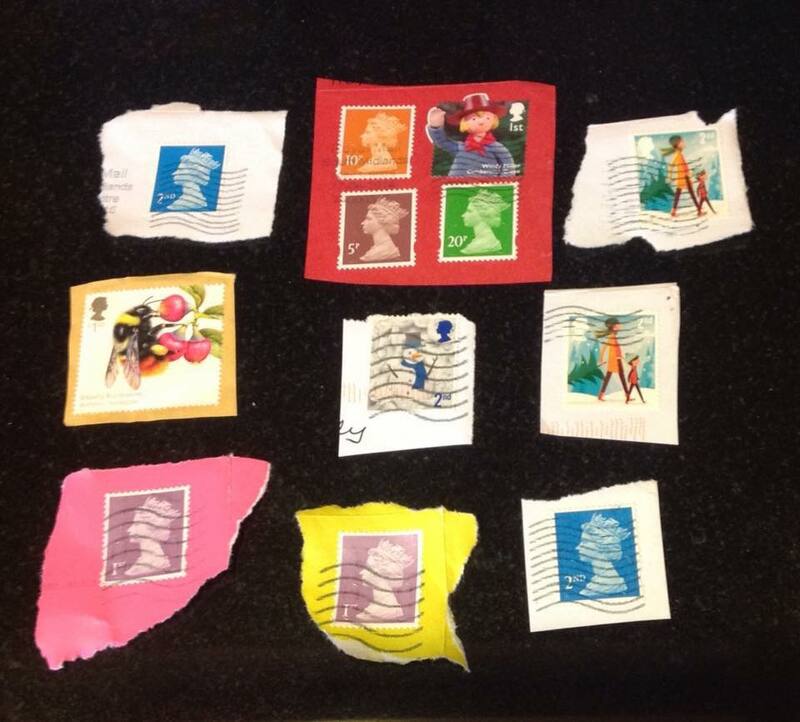 A letter has gone home so please search those school bags for details of our school effort. Thank you . 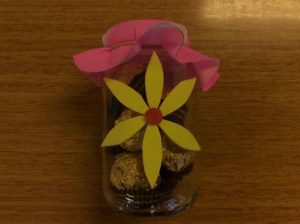 Our production team were very busy making more sweetie jars yesterday. 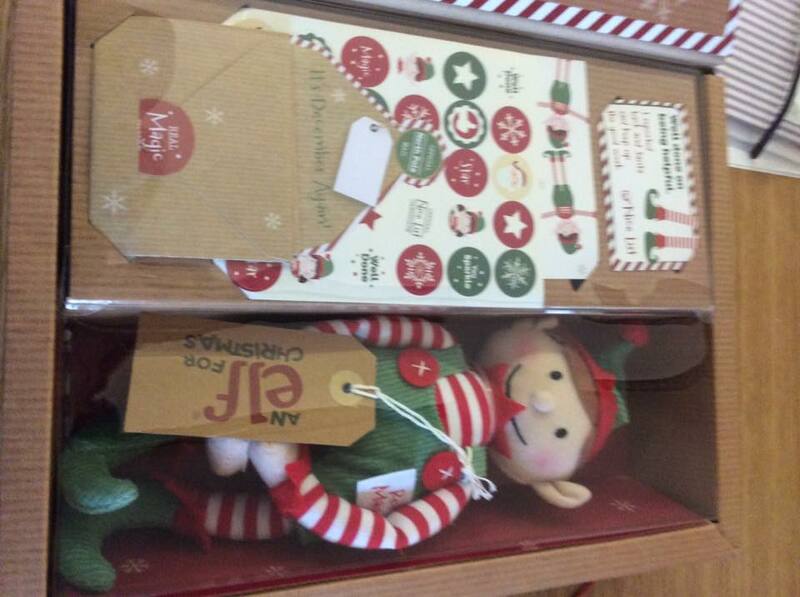 They are for sale tomorrow afternoon £3.00 each 2 for £5.00. 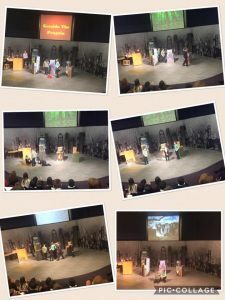 Please come to school and watch our winning drama which we did at W5 in Belfast last week. 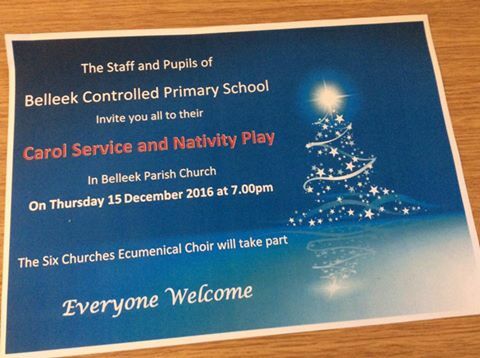 All parents and friends welcome. Tomorrow will be a very busy day at school. 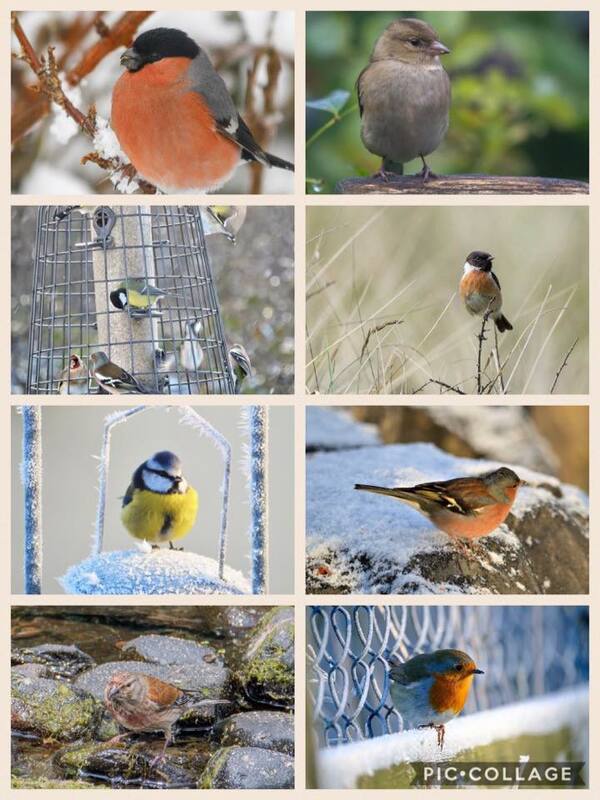 In the morning we welcome a visitor who will talk and show us his art work about local birds and wildlife. 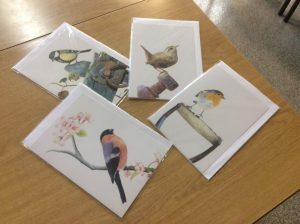 Cards cost £1.00 and book marks are .50p are for sale . Thank you. 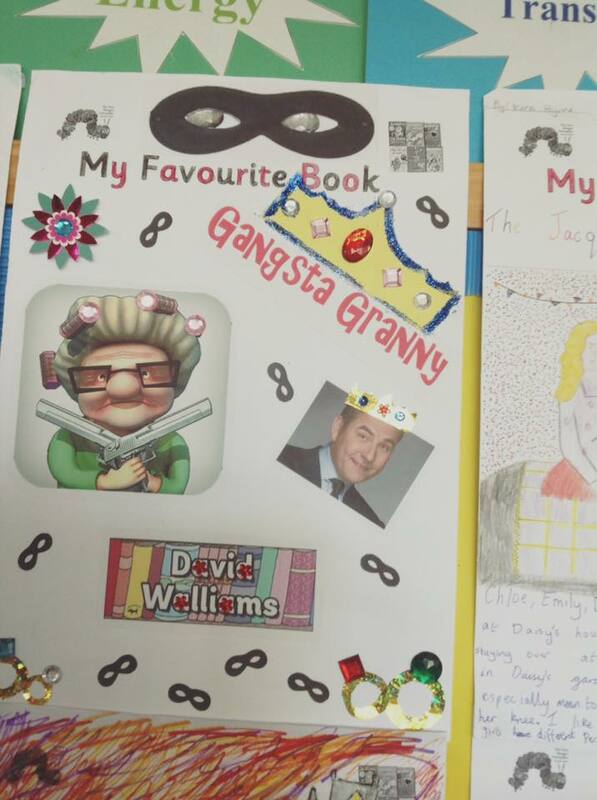 Congratulations to all boys and girls who completed their literacy world book day challenge by making their own individual non fiction book . There will be prizes rewarded shortly. 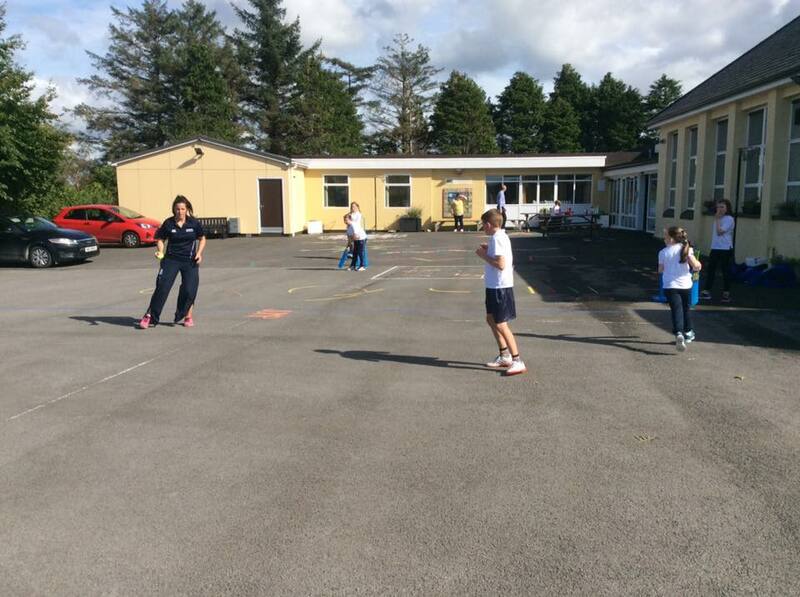 Congratulations to all boys and girls and Mr Beattie for their very successful day at Wark Hall Belleek today . 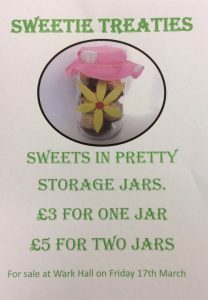 All sweetie jars sold !!! If you have missed out orders to school for next Friday 24th. I hope you have made plenty of profit !! 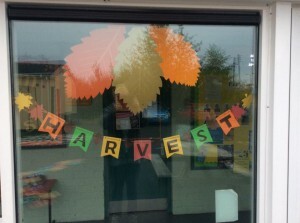 The pupils have worked hard to get here ready for sale tomorrow . They will really appreciate your support. A few pictures from today’s performance, sorry I was seated near the back!! 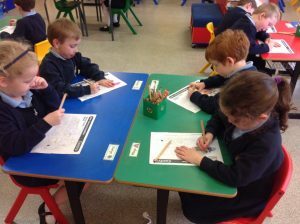 The pupils had to research, create and write the script for our drama story called Geraldo The Penguin. Our scene was set in Argentina the country where Giovanna our language assistant came from. 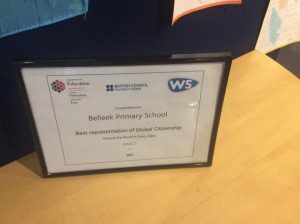 Congratulations to boys and girls , Mr Beattie and our classroom assistants for winning the Global Citizenship Award at The British Council Celebration hosted by W5 in Belfast today . We had an early start but an enjoyable day away. 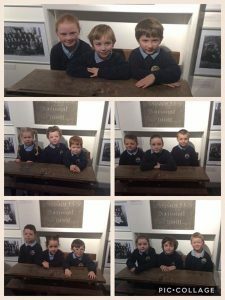 Very well behaved children trying out the old school desk at The Childhood Memories Exhibition which we visited at Enniskillen Castle Museum on Friday past. 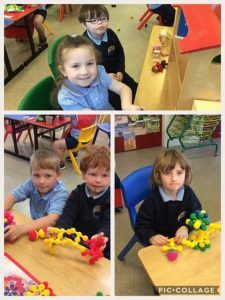 Mr Beattie’s class was very busy today preparing for day at W5 tomorrow. Remember to get up very early bus leaving for Belfast at 7.50 am don’t forget a packed lunch !! 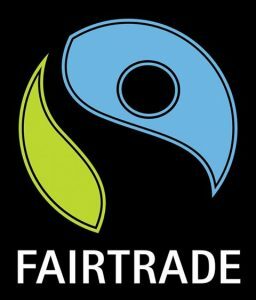 KS2 class are going to Fair Trade exhibition at Lakeland Forum bring a coat and a snack please. 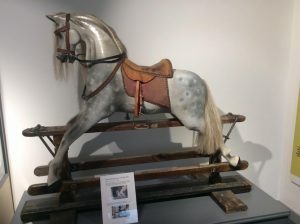 We are going to see lovely old toys and objects that people used long ago . 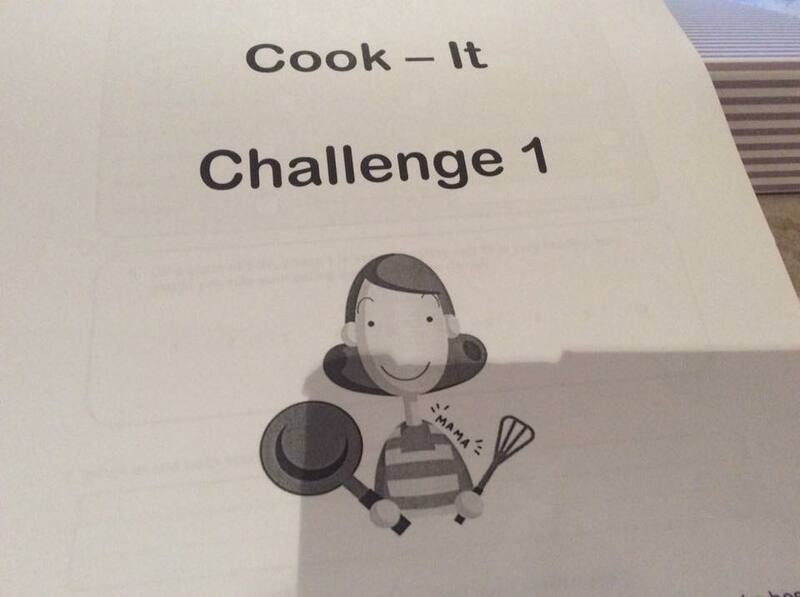 Look where we are going tomorrow in Enniskillen P1-P4 please remember to bring your coat and snack . 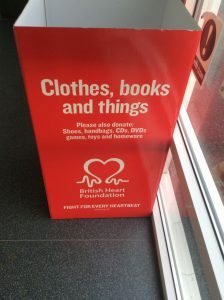 Please send in your unwanted books, toys, CD’s and DVD’s . Thank you to those who have brought in items. 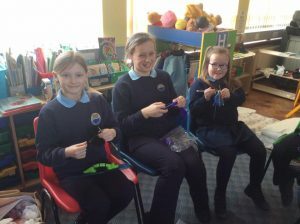 Some of our members of our Extended Schools knitting club which happens weekly after school under the guidance of Ms Noble. Knitting is a traditional skill now very much back in fashion . 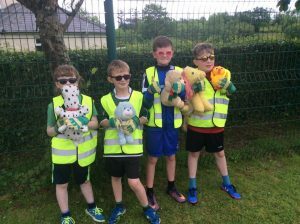 Pupils enter their knitting at Enniskillen Show during our summer holidays . Well done! 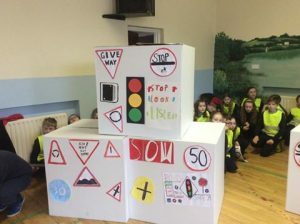 Congratulations to all boys and girls who performed in our Road Safety play last Tuesday morning at Cashel Community Centre. 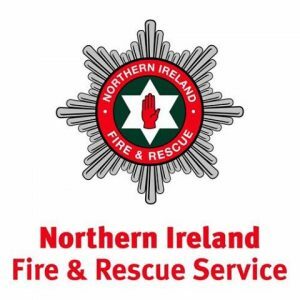 We all want to thank the visiting gentlemen from Department of Infrastructure Road Safety and the Policing and Community Safety Partnership Fermanagh and Omagh District Council who sponsored the project . The boys and girls meet weekly and the play was written and Directed by Mr Brian McMahon . 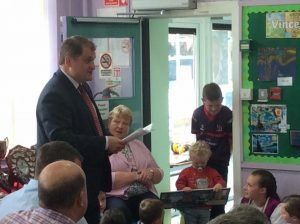 Thank you Brian and the teachers who supported the pupils. 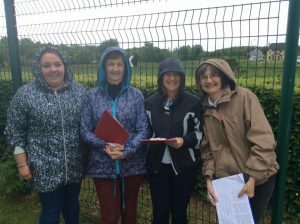 Our Thanks to Louise and Pauline from Cashel for all they did to help both schools . Finally to all parents and friends who came to watch on the morning. A very special thanks to Andrea for coming to school this morning. 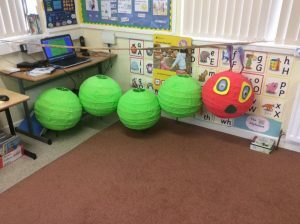 Miss McM class had a lovely World Book Day reading and painting a very big Hungry Caterpillar . We had caterpillar food at snack time!!!! 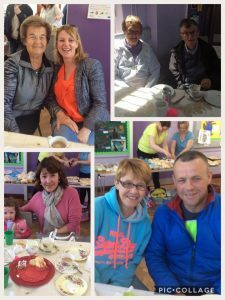 It was great to have some parents join in the activities thank you. 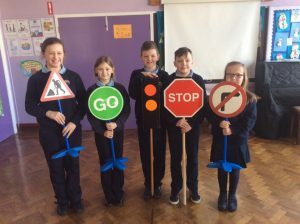 Our pupils join with pupils from St Martin’s Primary School Garrison to produce a short play about important Road Safety messages. The play was written and directed by Brian McMahon . 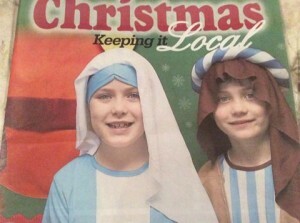 The short performance is on Tuesday morning at 11.00 am in Cashel Community Centre . Parents welcome. We need your help! 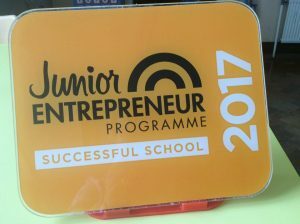 Our Junior Entrepreneurs are carrying out some research and need your feedback, please help them by clicking on the following link to a Facebook page and answer the question . 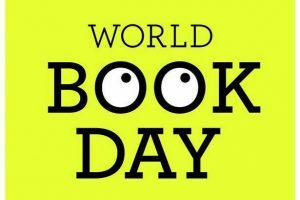 . .
World Book Day is on Thursday 2nd March parents of children in Miss McMorris’s watch out for a special letter. We are planning something special for these pupils. 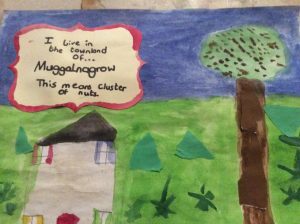 Later in the morning Genevieve a local artist worked with the children to paint their individual interpretation of their townland . These pieces of art will be made into a special book for our school. We thank Genevieve for all her encouragement and help. 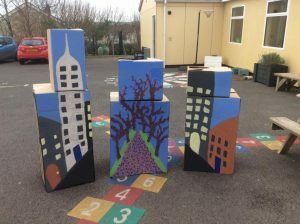 Recently Mr Beattie’s class were involved in Our Place project organised by Fermanagh/Omagh District Council. Pupils had to research the meaning of their townland names and Mr F Roofe gave us a very informative talk . We thank him for visiting our school. Hearts everywhere . . . I had a request from the Enniskillen Heart charity shop for any good condition toys. CD or DVD that you are finished with. 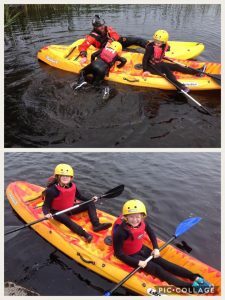 Please send into school after our half term holiday. Thank you. 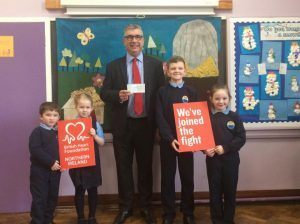 We were delighted to have Mr Gary Wilson from British Heart Foundation come to see us at school today to talk to us about this very worthwhile local charity. 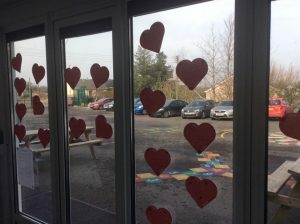 At school all pupils learn about the Heart Start life skill programme before they leave us. We gave him a cheque for £300.00 raised at our Harvest cake sale. Thank you to all who supported us. 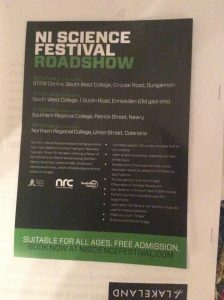 This Friday 17th February a science roadshow is coming to Fermanagh College Enniskillen. There are lots of displays and activities for children to do so if you are interested take your children along . 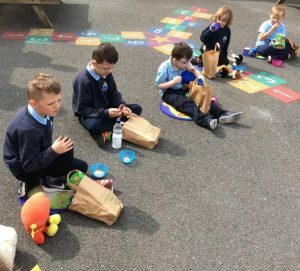 At school we encourage all pupils to eat a healthy snack at break time . 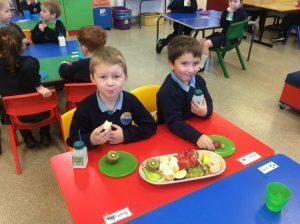 Pupils can drink milk or water at school.These boys are enjoying fresh fruit and milk !!!! 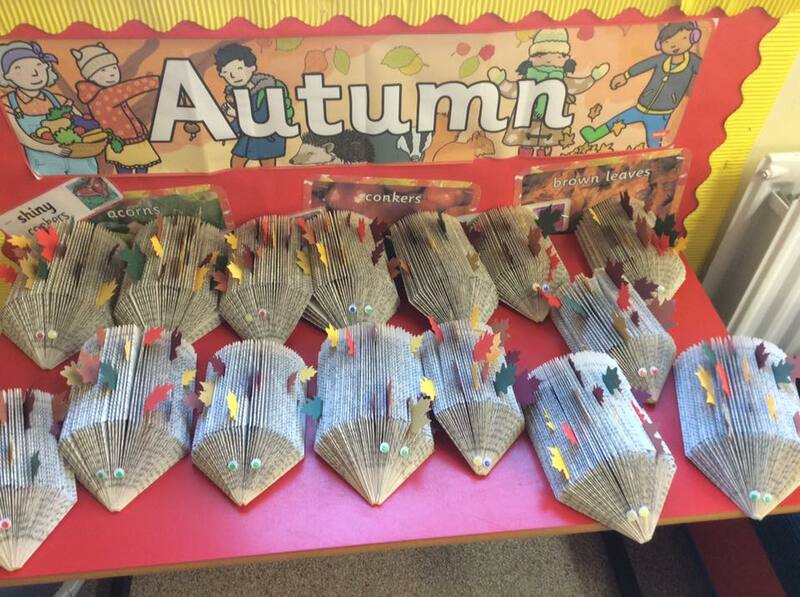 Miss McMorris’s class were reading non fiction books about animals in Winter. 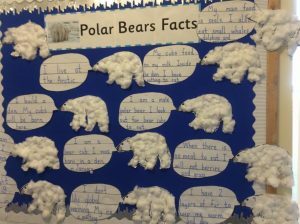 Our display board shows all the very interesting information they found out about polar bears . 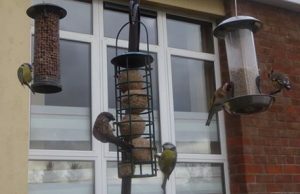 Today we observed our bird feeders at school and recorded 14 different bird species . See what you can find at home and bring in your results on Monday . Thank you. 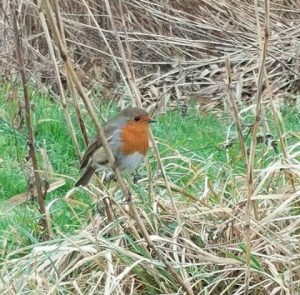 This week during school we will be taking part in RSPB Big Bird Count and you can do it at home this weekend. 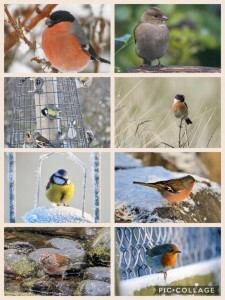 All results are sent to RSPB . Thank you . 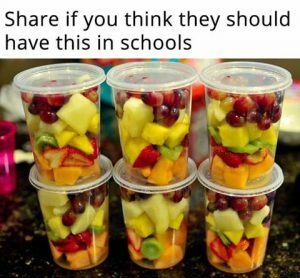 Remember we are a healthy break school. 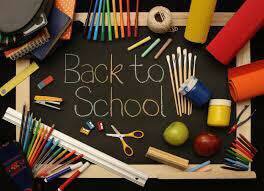 School opens on Thursday hope you all had a good holiday. 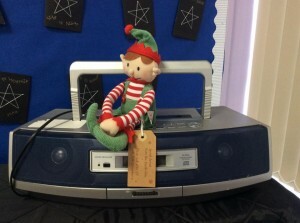 Look where the elf was watching and listening when Santa called! 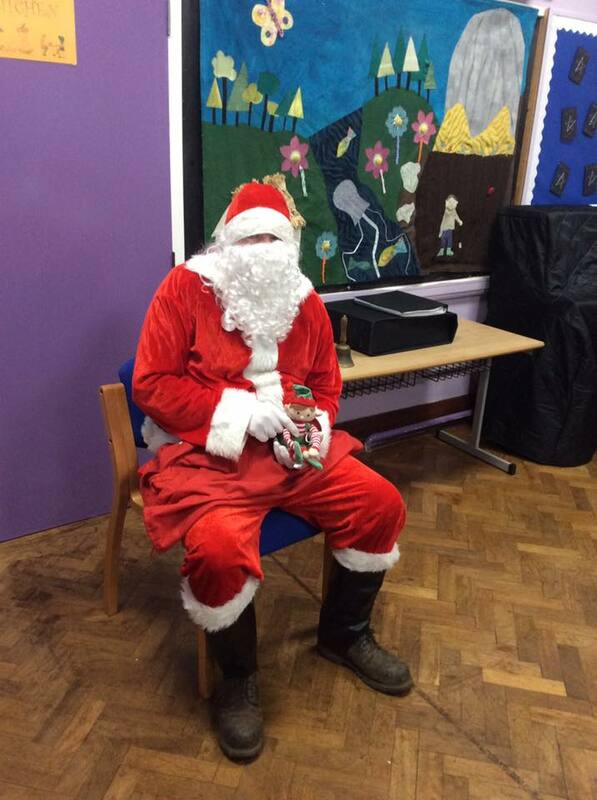 A very big thank you to Santa who called into school this afternoon and he gave all boys and girls a lovely present. 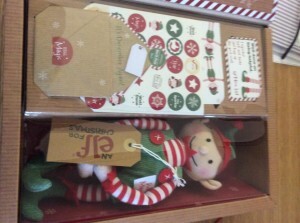 The elf told him they were all good!!! Don’t forget to save your Christmas stamps we will send them off to a charity as part of our Eco Schools work . Thank you . 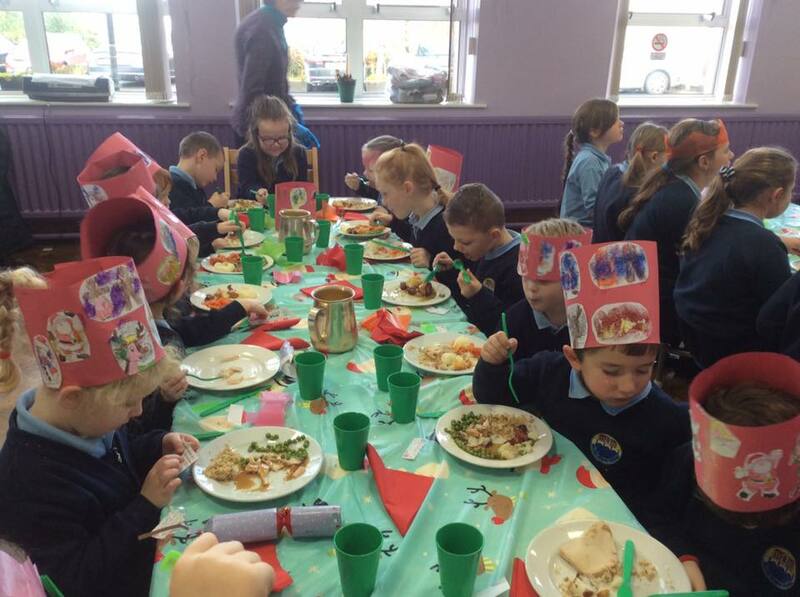 We all enjoyed our lovely Christmas Dinner today. 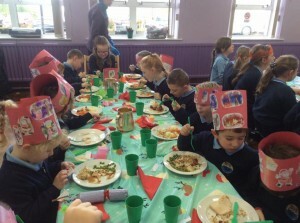 A very special thanks to staff over at Garrison school kitchen , Marie and Rosaleen who works at our school and Declan for bringing our dinners every day . 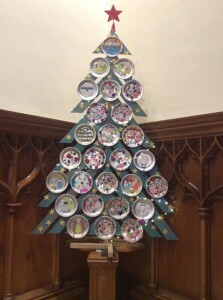 A big thank you and have a Very Happy Christmas. A beautiful photo from Belleek Primary School pupils on front cover of today’s copy of Impartial Reporter special Christmas Supplement . 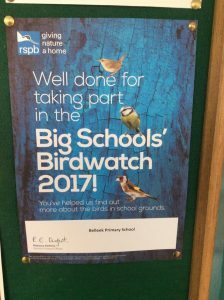 Congratulations to Mr Beattie and all the boys and girls in his class who achieved this award this week . Well done !!!! Look who has arrived in school !!!! 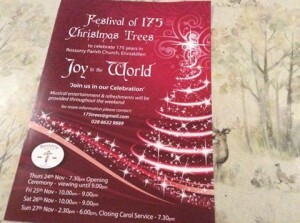 Please tell all family and friends to come to our Christmas Carol Service . Proceeds on evening for school funds this year. 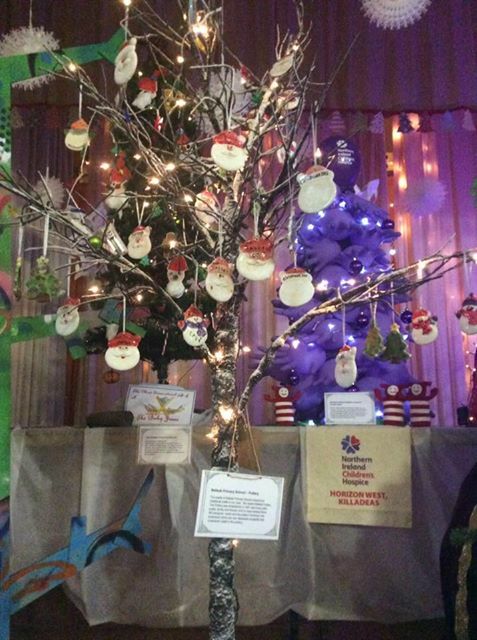 This is our second tree at Rossorry Christmas Tree Festival and it is in the hall where you can see many more and have wonderful tea. Today the Festival was very busy so please come along tomorrow or Sunday afternoon. 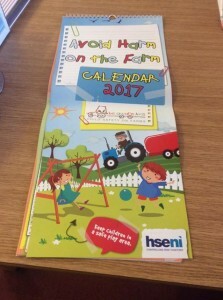 We have sent home this farm safety calendar to every family for next year please hang it up and discuss with your child each month the very important safety message. Thank you. 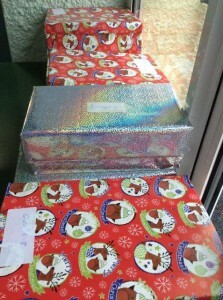 A big thank you to all who sent in shoe boxes we delivered 30 on Friday afternoon. 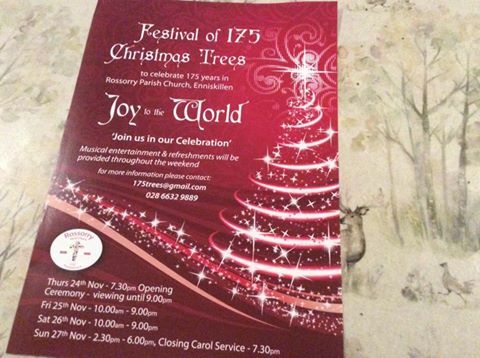 Belleek Primary School Christmas Tree in place at front of church for Rossorry Christmas Tree Festival which opens this Thursday until Sunday next .All welcome..
We had a very busy day preparing decorations for our Christmas tree which will be going to the Christmas Tree Festival at Rossorry Church Near Enniskillen next weekend. 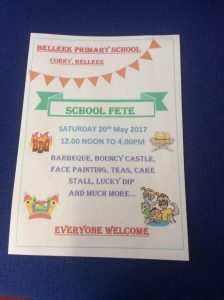 All parents and friends are welcome to visit the Festival. 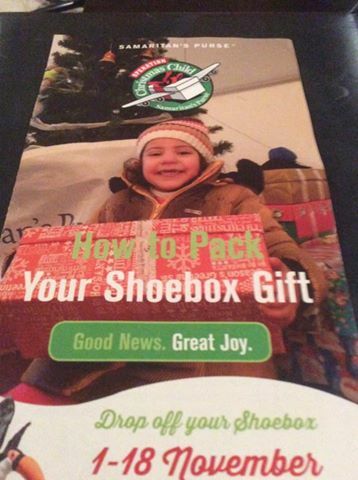 Could we please have our shoe boxes by Friday ! 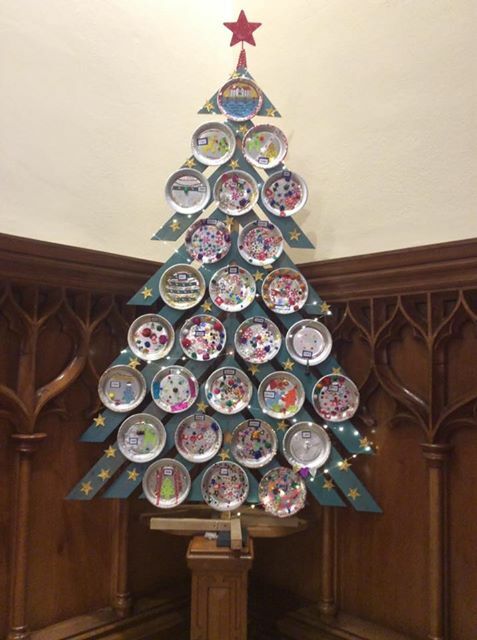 A very big thank you to all families who have made one this year. 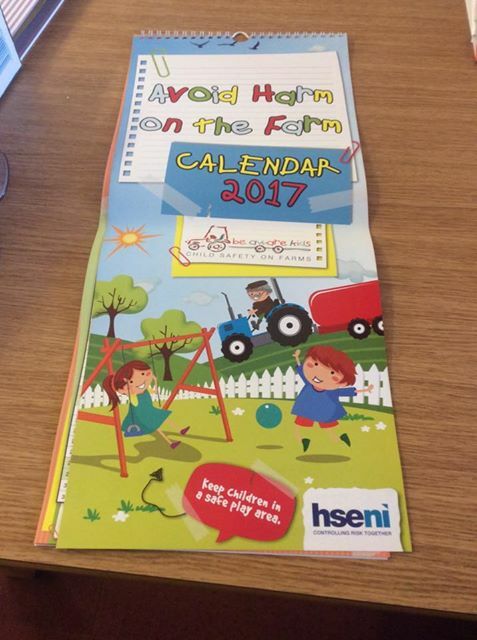 Remember this is the only present a child gets this Christmas. Thank you all for attending our Harvest Celebration we hope you all enjoyed it. Thank you to all who worked hard and supported our Harvest coffee morning and cake sale . 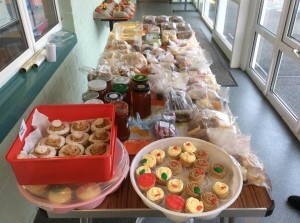 To date we have raised over £300.00 for British Heart Foundation . Well done ! 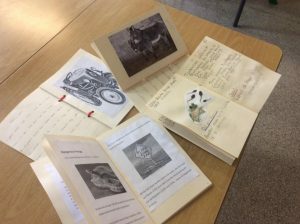 Parents and friends are welcome to our adult book folding session in school on Friday 21st of October at 7pm. You can learn to make this lovely bird cage house out of an old recycled book . Pupils from school will have a movie and popcorn night while you learn a new skill !! 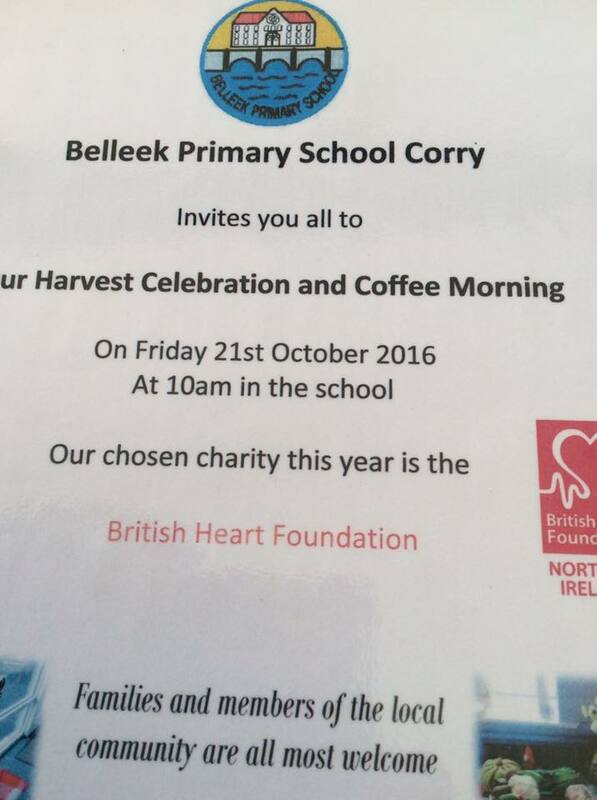 Please let school know in advance so we can have tea ready . On Friday all the pupils in school will learn how to book fold and decorate a lovely little hedgehog like this . 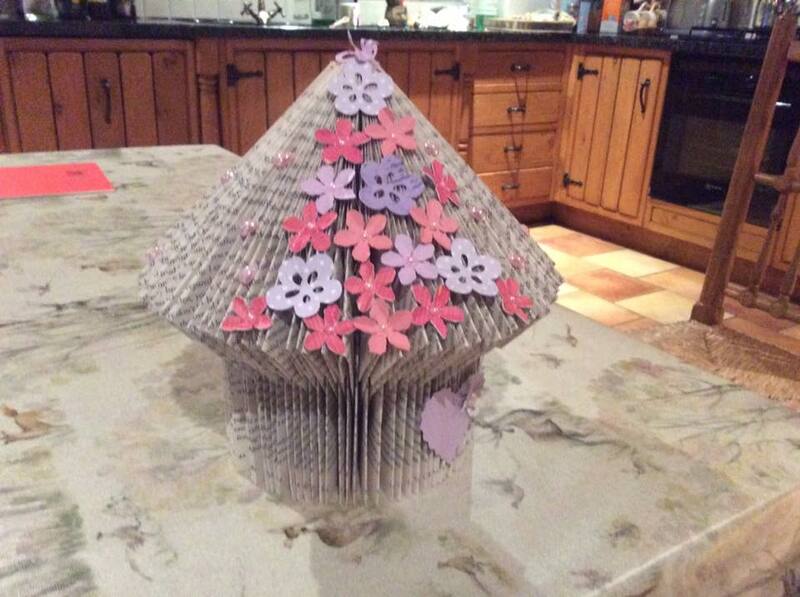 This is a new craft activity for us and we are recycling old paper back books. The ladies enjoy cooking new recipes each week. The best part is eating what is made! Each Wednesday morning we welcome a group of very enthusiastic parents who come to school to take part in The Cook- it programme. 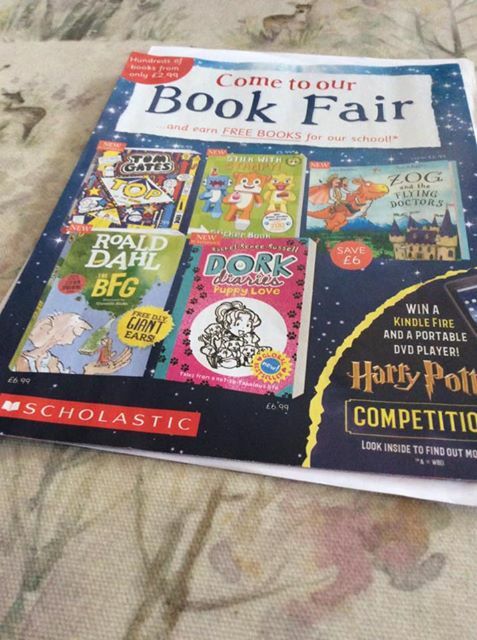 Our school book fair is on at school until Thursday. Some lovely books for different age groups . There are fiction or novels and non fiction information books to suit boys and girls. They make good birthday and Christmas presents also. 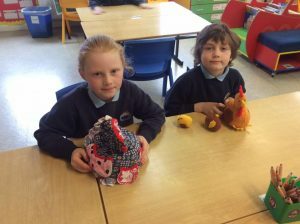 Congratulations to all the pupils who went to our knitting club after school last year . Here some of the pieces entered for County Show Enniskillen early August. 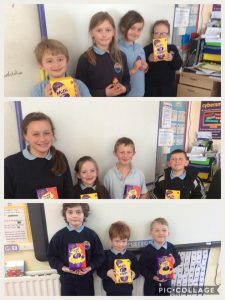 We had several prize winners . 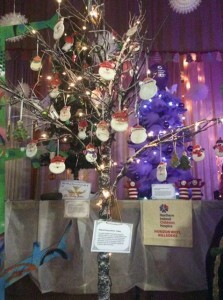 These are on display in the school foyer . Our very special thanks to Ms Noble who takes club. 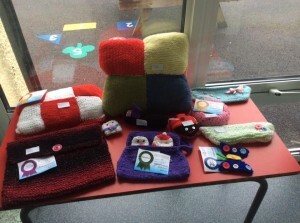 The club will meet again later this school year so get your wool and needles ready P4-P7 . Extra adult helpers welcome. 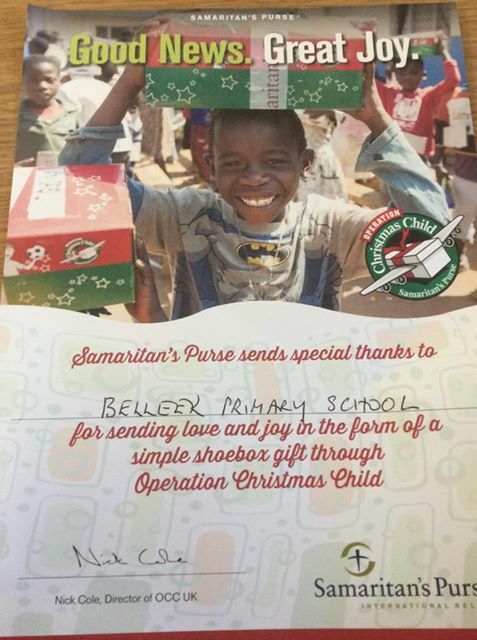 Please start preparing your shoebox which we collect in school early November. Families and friends have supported this very worthwhile cause over the years. 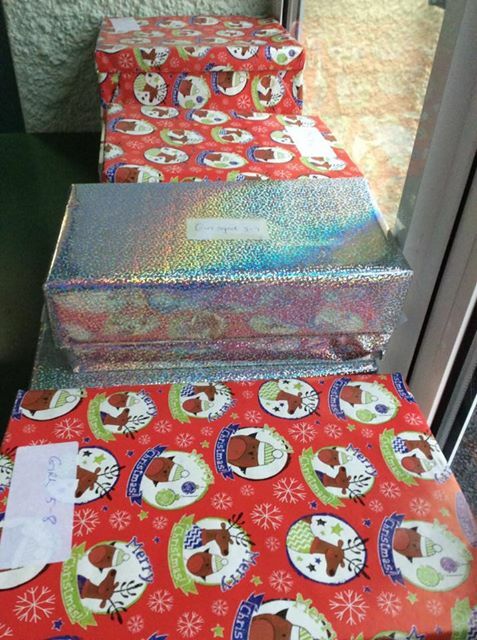 Remember this is the only present children get at Christmas . 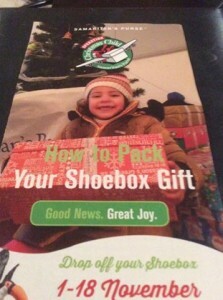 So please bring a smile to a child that will receive your box ! 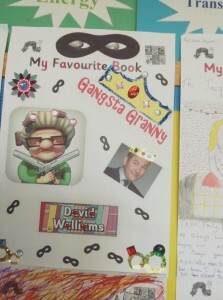 Thank you In June KS2 pupils and staff went to see the stage performance of Gangsta Granny by author David Walliams at the Opera House Belfast. This was the class favourite book last year!!! 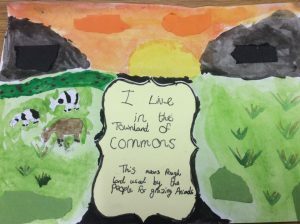 This poster was made by a pupil as part of our World Book Day school competition. 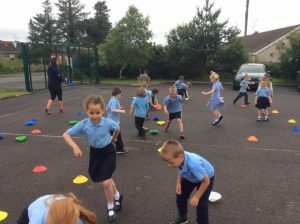 The older pupils really enjoy taking part in the Fermanagh/Omagh District Council -Everybody Active2020 programme, each week with Louise our visiting coach. 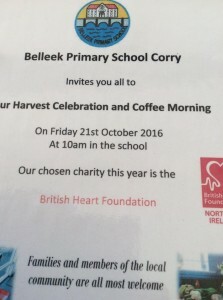 We are having our Harvest Celebration and coffee morning and cake sale on Friday 21st October at 10.00am.Our chosen charity this year is British Heart Foundation. 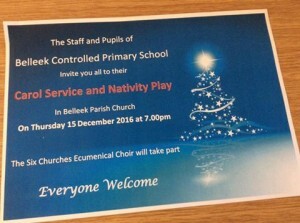 All families and friends from local community welcome. 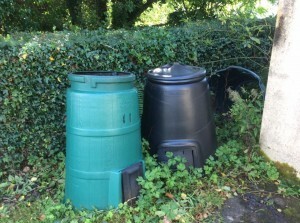 Each day we compost of all our biodegradable waste after break and lunchtimes. All pupils are on a weekly rota for this important duty. 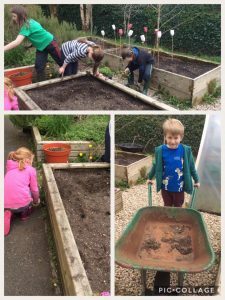 We have a school garden and all pupils enjoy gardening activities between months of May and October. These are this year’s sunflowers.How tall do you think they are?